Guardian Nation and ConcealedCarry.com are proud to bring you another installment of our “Guardian Nation Live” interview series. 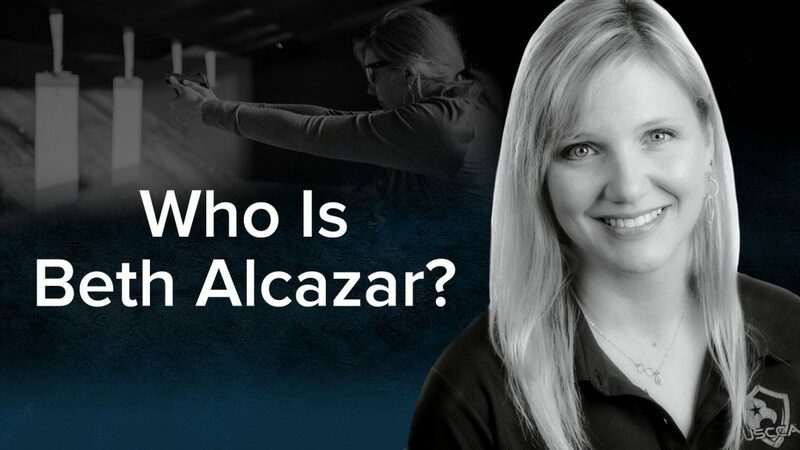 This time we are going to be sitting down with one heck of a woman, USCCA Senior Training Counselor, NRA Instructor, and competitive shooter for The Well Armed Woman Shooting Team, Beth Alcazar! As mentioned above, Beth is a USCCA Senior Training Counselor, and while that is one of her main plaudits, there is much more to Beth than just one single trainer title. She is also a Sig Sauer Academy pistol instructor, NRA certified pistol instructor, NRA certified refuse to be a victim instructor, NRA certified range safety officer, The Well Armed Woman certified instructor, Leader of The Well Armed Woman, Trussville Chapter, and a Competitive shooter on The Well Armed Woman Shooting Team. But for more about Beth let's hear about what she says on her own online biography. Ultimately, my story is every mom's story. I am not a survivor. I am not a hero. I am not a victim. I am not an expert. I am an instructor and a communicator at heart, but I am also a lifelong learner. Most importantly, I am a mom. I love my family dearly. And I want other moms to know how they, too, can live safely with children… AND with firearms. We hope to see a whole slew of you for our Guardian Live broadcast with Beth Alcazar, available to all Guardian Nation Members on Tuesday, April 24th! Beth will also soon be a guest on the iTunes top-ranked gun show, The Concealed Carry Podcast, with Riley Bowman and Jacob Paulsen. Now, in order to watch this live Q&A session with Beth, you can join Guardian Nation and get access to it as well as all past Guardian Nation Live recordings, including former Delta Force member Kyle Lamb, award winning competitive shooter Rob Leatham former Top Shot contestant and LASR training pistol inventor Mike Hughes, as well as many other interviews.